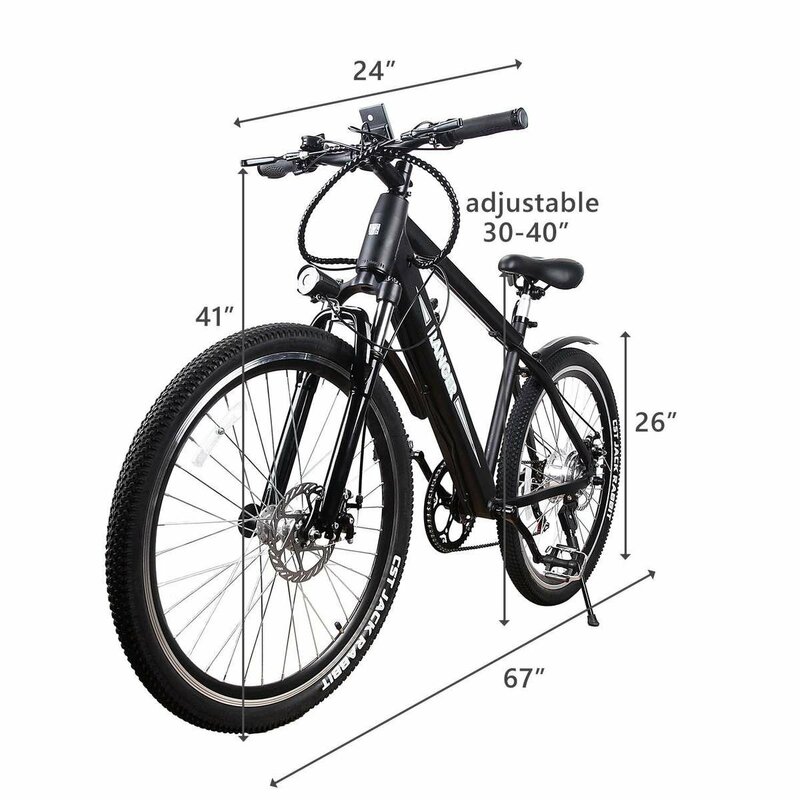 BRAKE & GEAR SHIFT SYSTEM: This electric bike with front and rear disc brakes and Shimano 6 speed gear, you can choose any speed according to your needs. 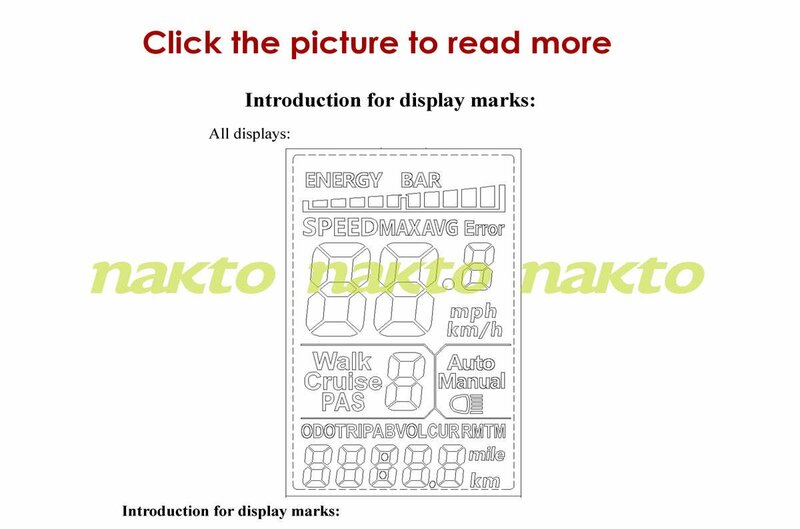 The mechanical double disc bark fully protect your safety. 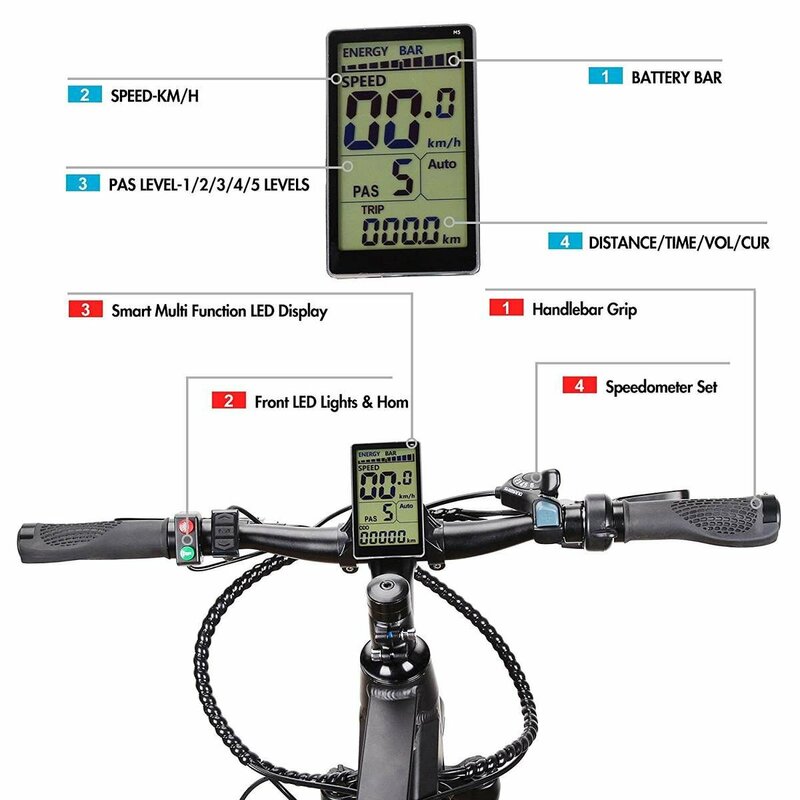 HIGH-SPEED MOTOR: The bike equipped with smart lithium battery charger can make you ride up to 25 miles. 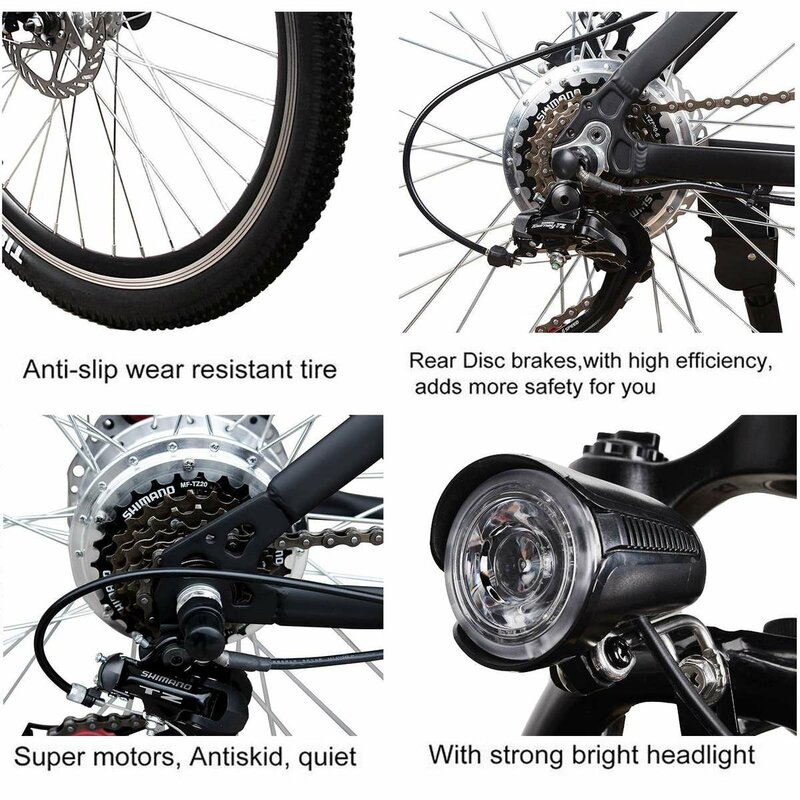 300w high-speed brushless gear motors easily assist you to travel at the 19mile/h road speed limit. Feeling the breeze, enjoy the scenery of nature. 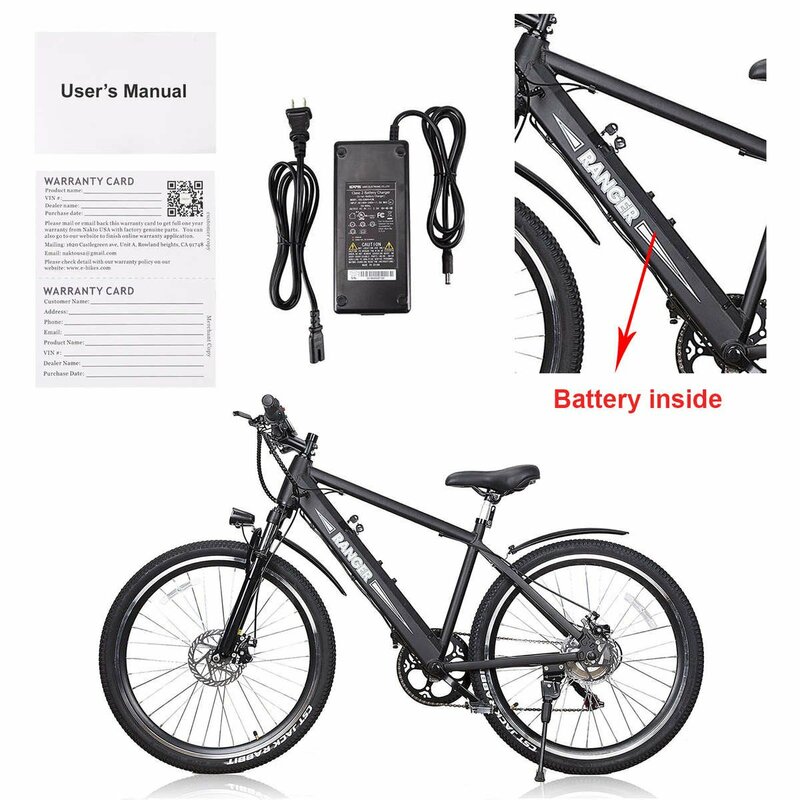 TESTIMONIALS FOR NAKTO 350w Mountain electric bicycle Ranger 26"